Whether or not you want Deck Solutions to show you a perfect St. Charles deck design or if you want to design the deck yourself, or design team will offer a beautiful St. Charles deck design that will be one of a kind and affordable. If for any reason you have any questions or comments about our St. Charles deck design service, feel free to give us a call at 630-513-9411 or fill out the form to the right. Our St. Charles deck design service will start with a consultation with our experts so Deck Solutions can get a good idea of which direction to go followed by an on site visit to complete the footing locations and start designing a detailed plan view which includes the decking, framing and railing details for your St Charles deck design. Deck Solutions loves to hear new ideas. With our DIY St. Charles deck design service you are able to come up with your own concepts working with our team to achieve exactly what you are looking for. For only $299, Deck Solutions offers our St. Charles deck design package which includes many great options including, all the construction notes for a permit, a design consultation, a detailed materials list, a detailed plan view and many more. Founded in 1999, Deck Solutions are experts in St. Charles deck design and are proud of every job they take on. Deck Solutions are industry leaders in outdoor living space building creating custom decks and patios that come from pure imagination. 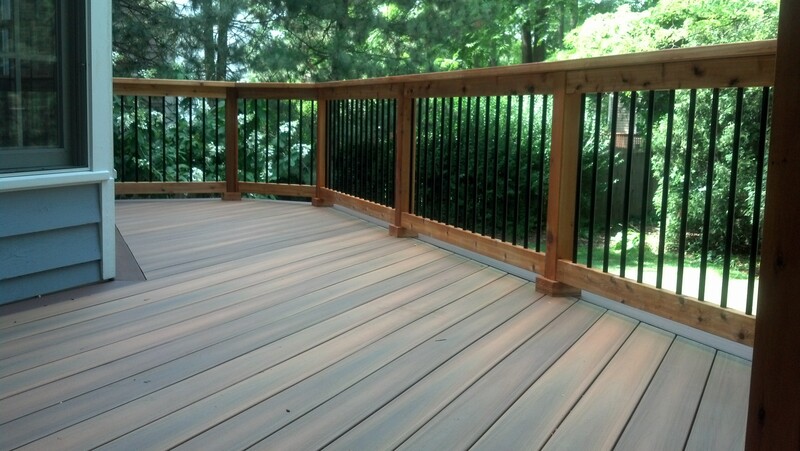 If for any reason you have any questions or comments about our St. Charles deck design service, feel free to give us a call at 630-513-9411 or fill out the form to the right.